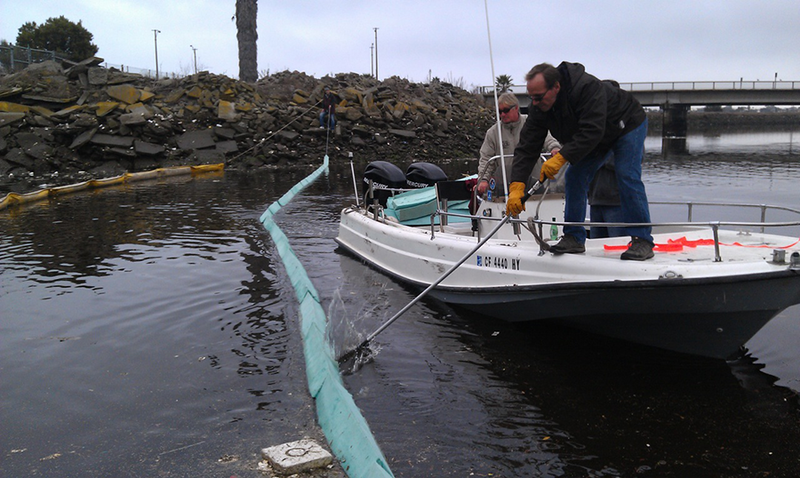 Lenny Arkinstall (left) and Jeff Wilfong (right) deploy foam booms in the Los Cerritos Wetlands. Photo courtesy of Tim Woodward. Tim Woodward, COO and director of the Lake Forest-based company Advanced Innovative Recovery Technologies Inc., is no stranger to Long Beach. Just shy of two years ago, he joined Lenny Arkinstall of the Los Cerritos Wetlands Stewards to install foam booms to provide unmanned cleanup in the area. The results were spot on: after being left out for six weeks, samples were sent to a laboratory in Santa Ana and came back positive for high levels of hydrocarbons and silicones, the not-so-earth-friendly components of everything from your suntan lotion to your make-up. Given the immediate success of the OX 28 SEA SPONGE, Woodward decided to take his micro-cleanup of the wetlands to the next level by taking on all of Long Beach’s waters; he was certain that his crowdfunding approach would seal the deal. But the Clean My Bay project, launched in February of this year, has raised only $1,350. AIRTech might be trying to clean up waters and assist during spills—they assisted with cleaning up the mess when an Exxon Mobile pipeline ruptured and spilled into the Yellowstone River during the 2011 flood—but they are also capitalizing on the innovation behind their foam. After Woodward and crew began partnering with other companies, the success of the products being created fueled further innovation. Their partnership with all-things-beauty giant H-E-B brought the latter company their most successful product launch ever, which used Woodward’s soap-infused sponge under a private label titled Texas Scents. Given they own the rights to the formulas, AIRTech now hopes to join in on everything from foam mattresses and pillows to construction foam to foam infused with industrial green cleaners so that animals can get cleaned practically instantaneously after oil spills. One of AIRTech’s most innovative ventures, Be Better Boards (BBB), uses their non-toxic foams to build surfboards. Traditional surfboard production is dependent upon petroleum-based chemicals that are harmful to the environment. But the capital success of AIRTech doesn’t mean they’ll be giving up on their original mission of cleaning up dirty water—and that includes their Clean My Bay mission to clean up Long Beach. “It all started with the love of the ocean and wanting to clean up the water,” Woodward said. 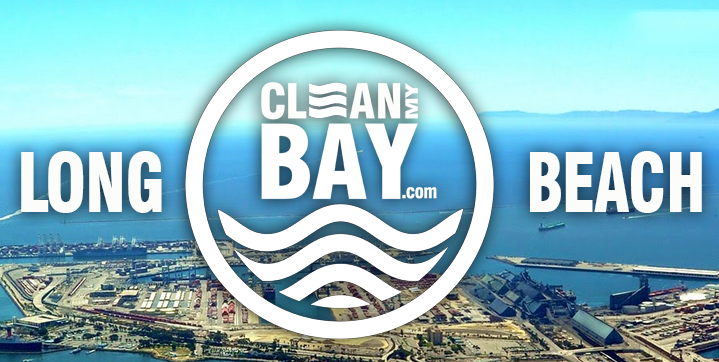 To donate toward the Clean My Bay project and learn more about it, click here.